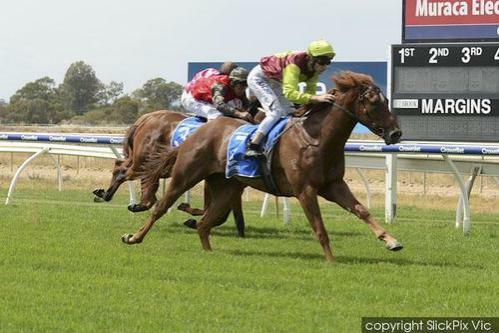 Consistent well bred 3YO Filly SALLANCHES finally broke through for her Maiden win at Wangaratta today beating the other 3YO fillies over the 1200m by a comfortable margin. She jumped well but Jamie Mott eased her back to take a sit and cover in the back half of the field. He let her go coming to the turn and she quickly gathered her rivals in at the top of the straight to win drawing away.